Chris Cornell (born Christopher John Boyle; July 20, 1964 – May 18, 2017) was an American musician, singer and songwriter. He was best known as the lead vocalist for the rock bands Soundgarden and Audioslave. Cornell was also known for his numerous solo works and soundtrack contributions since 1991, and as the founder and frontman for Temple of the Dog, the one-off tribute band dedicated to his late friend Andrew Wood. Cornell is considered one of the chief architects of the 1990s grunge movement, and is well known for his extensive catalog as a songwriter, his nearly four-octave vocal range, and his powerful vocal belting technique. He released four solo studio albums, Euphoria Morning (1999), Carry On (2007), Scream (2009), Higher Truth (2015) and the live album Songbook (2011). Cornell received a Golden Globe Award nomination for his song "The Keeper," which appeared in the 2011 film Machine Gun Preacher, and co-wrote and performed the theme song to the James Bond film Casino Royale (2006), "You Know My Name." His last solo release before his death was the charity single "The Promise," written for the ending credits for the film of the same name. He was voted "Rock's Greatest Singer" by readers of Guitar World, ranked 4th in the list of "Heavy Metal's All-Time Top 100 Vocalists" by Hit Parader, 9th in the list of "Best Lead Singers of All Time" by Rolling Stone, and 12th in MTV's "22 Greatest Voices in Music." 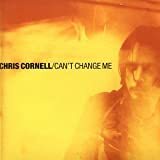 Across his entire catalog, Cornell has sold 14.8 million albums, 8.8 million digital songs, and 300 million on-demand audio streams in the U.S. alone, as well as over 30 million records worldwide. He was nominated for 15 Grammy Awards and won twice. Cornell struggled with depression for much of his life. He was found dead in his Detroit hotel room early on the morning of May 18, 2017, after performing at a Soundgarden concert an hour earlier. His death was ruled suicide by hanging.